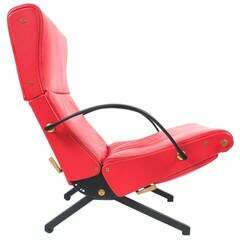 Jens Risom pair of red vinyl faux leather chairs, 1950. Excellent original condition with little wear to the vinyl. Priced as a pair. A pair of lounge chairs on walnut bases. 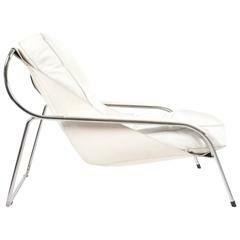 Designed by Jens Risom and fully restored in Maharam wool.